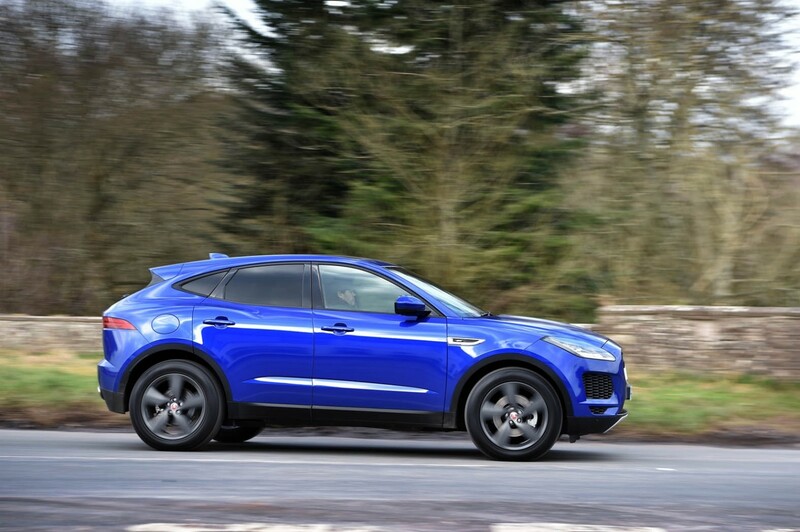 By Mike Torpey on 2018-04-30 - Driving Force news editor and responsible for organising our daily output. He was staff motoring editor of the Liverpool Echo for 20 years. TAKING cues from existing models can prove both a help and a hindrance. Observe the new Jaguar E-PACE as a case in point. 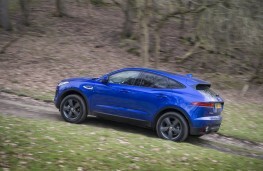 This car represents the Big Cat's first venture into the premium mid-size SUV arena, one keenly contested by the likes of the BMW X2, Volkswagen Tiguan, Audi Q2 and new to the scene Volvo XC40.Jaguar needed to hit the ground running, and did so by combining the design and performance of a sports car into a practicalall-wheel-drive family vehicle. 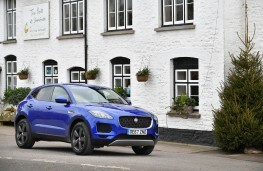 So the E-PACE's exterior is inspired by the fiery F-TYPE with trademark Jaguar grille, sweeping roofline and powerful haunches while the cabin boasts a dash design also taken from the sports car. 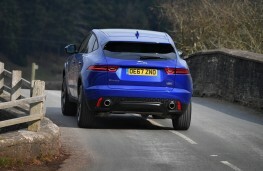 It's underbody, though, is a modified version of the same company's Range Rover Evoque - no doubt to save money - prompting some critics to question just how exclusive the newcomer actually is. Either way, the Evoque is not only hugely successful but also an outstanding SUV in its own right - and as we discovered at the E-PACE model launch, the sub-structure also works exceptionally well in the new Jaguar. 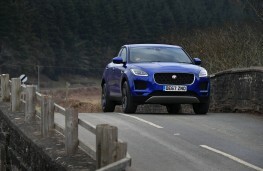 Jaguar certainly seems a manufacturer in a hurry when it comes to PACE. 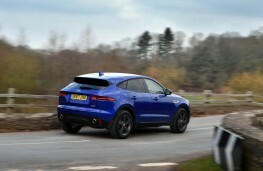 First we had the larger F-PACE, now there's its little brother which mustn't be confused with the new electric I-PACE. 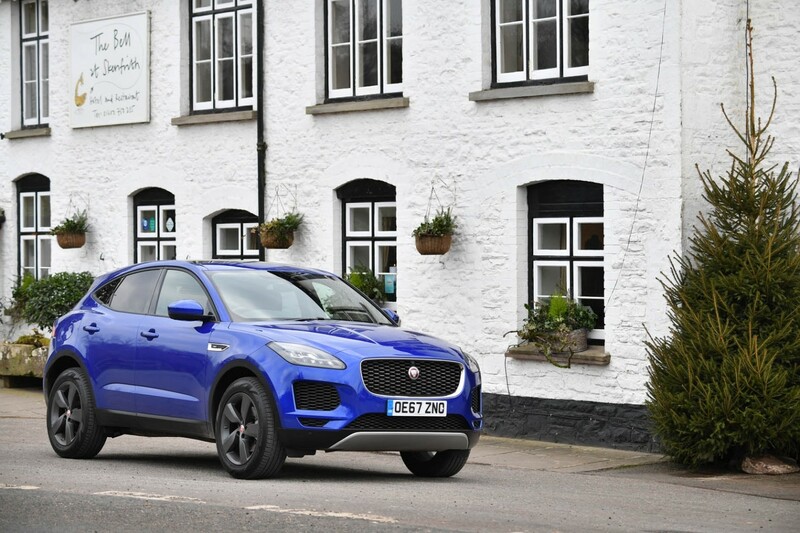 With deliveries just starting to arrive in Jaguar dealerships, the E-PACE is up for grabs in a choice of five trim grades and powered by a range of 2.0 litre four-cylinder Ingenium engines. 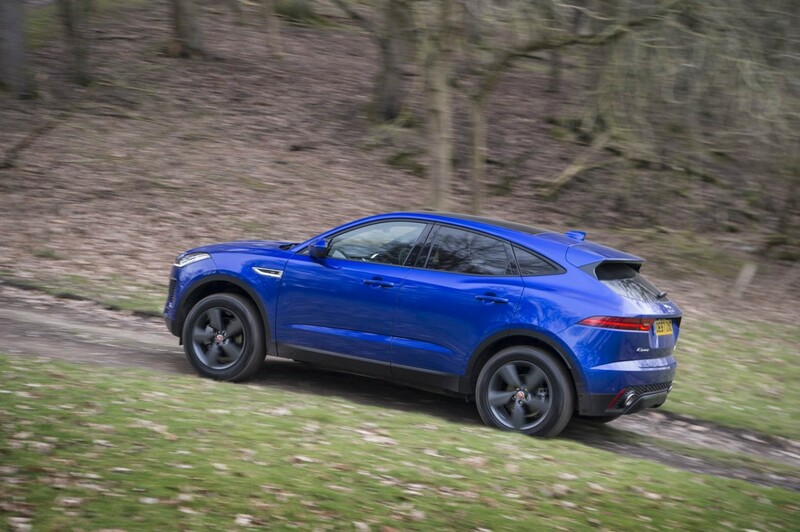 Since the order book opened last November, Jaguar has seen 74 per cent of buyers opting for diesel power, which is available with 150, 180 and 240PS.There is also a pair of high performance petrol models with 240 and 300PS and all bar the entry level diesel come with all-wheel drive. 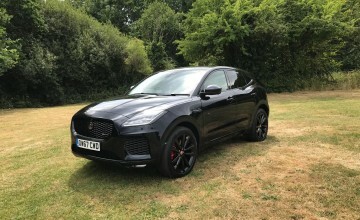 Prices start at £28,500, extremely attractive for a car adorned with the Big Cat motif, though that tab only gets you the basic trim, a 150PS engine and six-speed manual transmission. 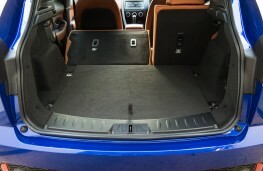 That said, the amount of standard kit is more than acceptable with the likes of 17-inch alloy wheels, cruise control, six speaker sound system, DAB radio, reversing camera and parking sensors all included, and there are countless options available too. 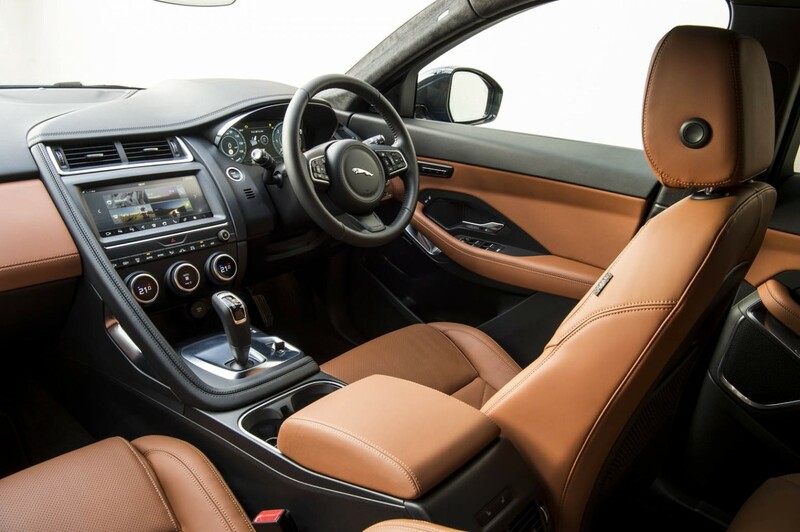 And every E-PACE features the latest generation of Jaguar's Touch Pro infotainment system with voice control, a 10-inch touchscreen interface and a customisable home screen. 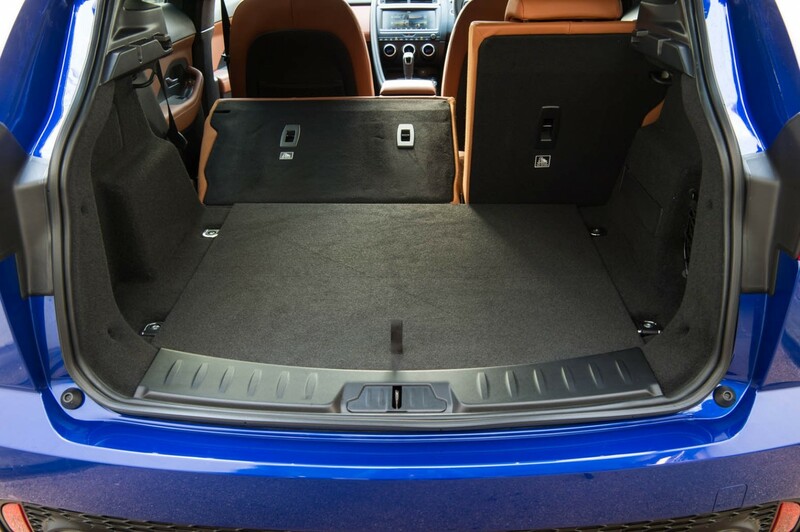 Space inside is deceptively accommodating and includes a deep centre console with removable cupholders, large glovebox and deep sculpted door bins. 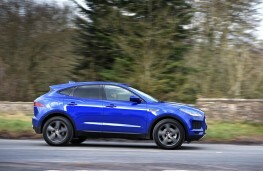 No doubt there will be plenty of takers for the cheapest car, which is also the least polluting variant with its 124g/km of CO2. 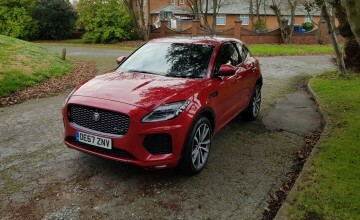 It is also enjoyable to drive, as evidenced by a route through towns and villages close to the River Thames as well as a stretch of motorway, feeling both agile and planted. Enthusiastic drivers will almost certainly want more power and though the official Combined fuel return is a rewarding 60.1 miles per gallon the best we could manage was 45.4mpg. 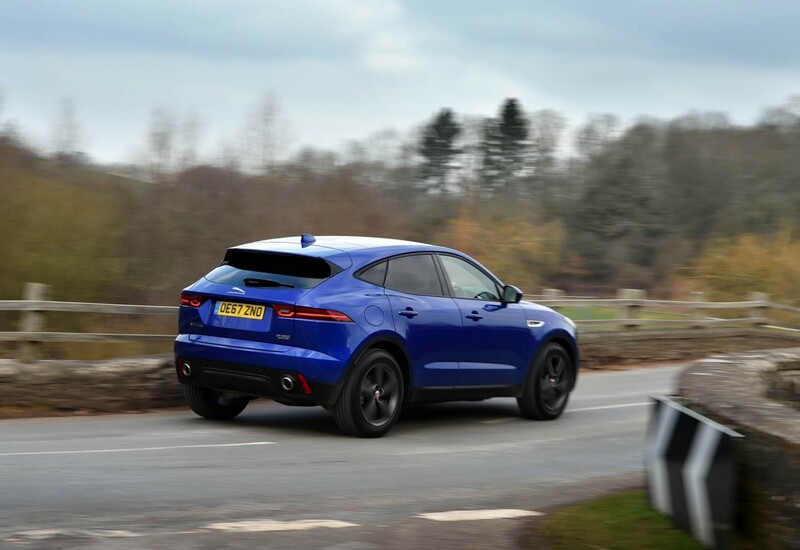 They will probably also prefer to specify the R-Dynamic series of trim grades costing from £30,750 and adding more aggressive looks, bolstered front sports seats and colour contrasting double upholstery stitching. 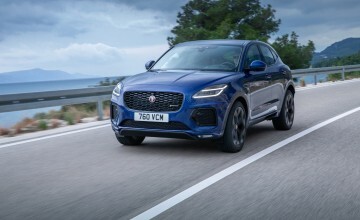 The first year of sales will also feature a First Edition E-PACE from close to the top of the range at £47,800 for 180ps diesel and £50,160 for the 240ps petrol equivalent. 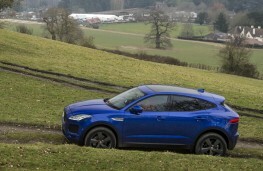 Both are impressive to drive, leather clad and come packed with techno treats.